Full wrap-around cover for my new comic, Snowbound. Two more adventures join our party. 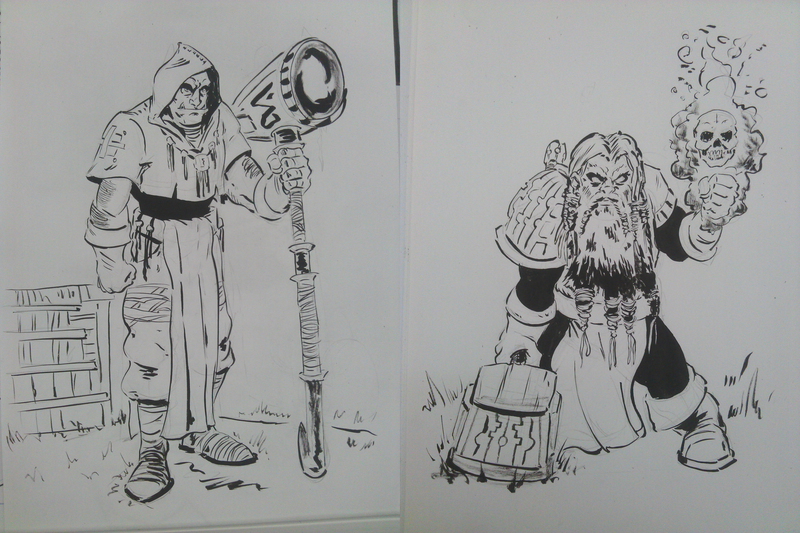 Magnok the Magnificent and Varric. G.A. Ironborn – Scourge of the Halfling race. Ironically, these guys are super religious and are out to help and heal people. I’ve sort had to take some time off from everything cause of being sick 😥 Last night marked the beginning of my second Dungeons & Dragons experience, there were many chuckles to be had and my friend created possibly my favourite character ever, Kandle Lumiere, the swaggest bard the realm has ever seen. 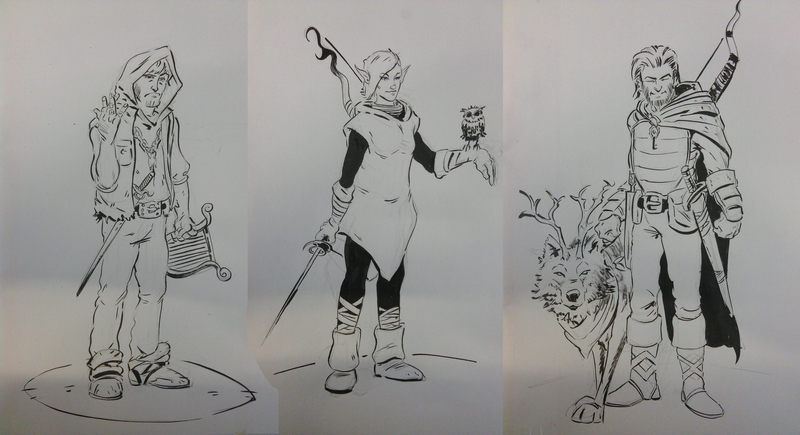 Did some drawings of our characters, Kandle, Reeka & Archimedes the owl and Sexton & Stag the wolf.